Have you ever wanted to play a YouTube video on a device with no access to the internet? Maybe you have a YouTube playlist with some fancy music videos to turn up the party or to watch on your TV or iPod Touch, but how do you get to play them if you cannot get online? An easy way around this is to use any of the next top websites to download YouTube videos free online in advance and transfer downloaded YouTube videos to your favorite devices. Let's go through these best sites to download YouTube videos for free to see which one you like better. Nowadays, watching YouTube videos has become a part of our life in Internet era, getting latest information, news, education even entertainment leisure. If you plan to download YouTube videos for portable devices or your computer for offline use in meeting or playback, then you might want to consider a piece of software. iTube Studio YouTube Downloader can be used to download up to 1,000 videos simultaneously one after the other automatically. This means that you can download videos in one go, rather than having to wait and download them one by one. 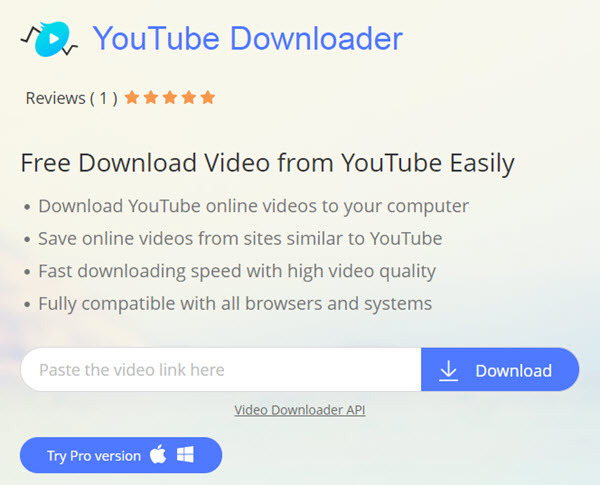 This YouTube video downloader also support acceleration speed downloading thanks to its advanced hardware technology, take its free trial to exprience the fast YouTube downloading with no quality loss! Download videos from YouTube and other 10,000+ video sites inclucing Facebook, Vimeo, Hulu, Metacafe, Dailymotion, etc. Serve as a video converter and transfer which can convert the YouTube video to any format and transfer the video to any device directly. Record any online videos from any video sharing sites which doesn't allow to download directly. Batch download multiple videos like YouTube Playlist at 3X faster speed and schedule download videos in Smart Mode. Play downloaded YouTube videos with its built in media player regardless of operating system limits. Provide a PRIVATE MODE to protect your downloading information with a password known by yourself only. Starting with the basics, FLVto.com offers the most simple way to download video from YouTube and other sources just by pasting their web address, but there is a catch. In order to download the video itself, you need to download a program to your desktop, otherwise you will only be able to have a copy of the audio in MP3 format, making this service ideal for those who just want to have music out of YouTube videos, so there is that. Pros: Good looking and simple service to download audio as MP3 from YouTube and other video sources online. Cons: This YouTube download site requires to download software in oder to have an actual copy of the video in its original format or converted into other like MOV, WMV or WMA. Right on the other side in terms of functionality, there is ClipConverter. 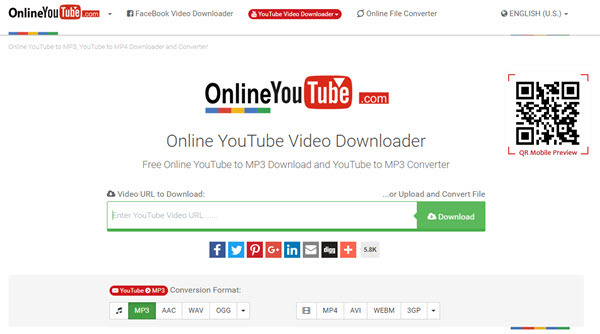 With a look optimized for mobile devices, this online downloader and converter will let you have a copy of the video you prompt in on its original format or convert it to different video file types and even extract to different audio-only formats. So this may be one of the most complete options available completely online. 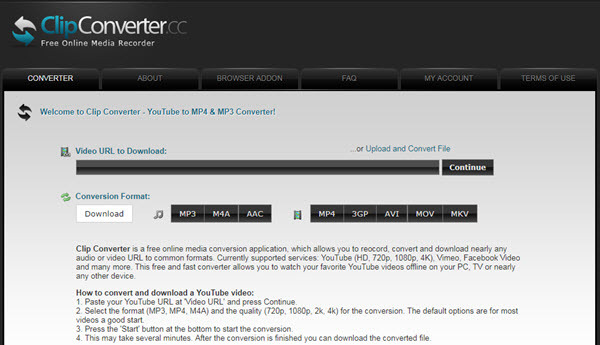 Pros: Download Youtube videos online or convert it to multiple video and audio formats by pasting its web address. Video file upload is also available, which can be another goodie. Cons: The only thing this online tool may be lacking is the possibility to adjust frame rate or bitrate manually. 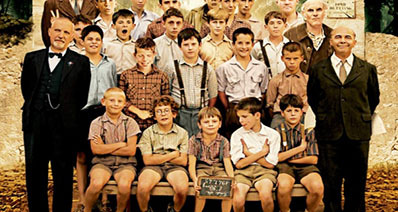 However it does allow you to choose between the standard quality or HD version of the video when available. 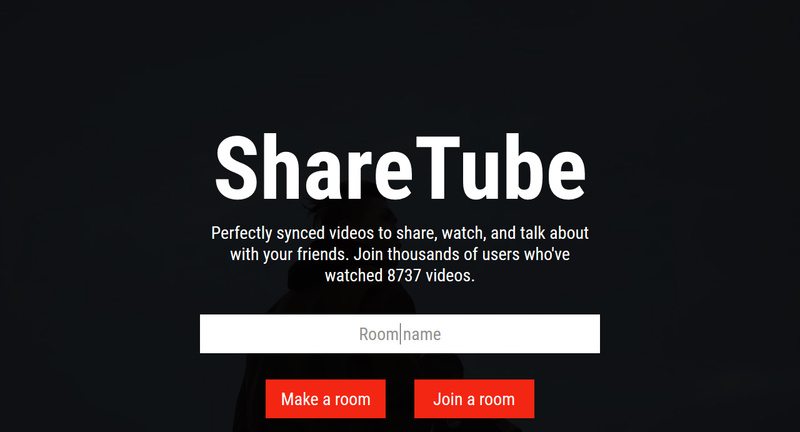 Another website to download youtube videos that you can access is Share-Tube.eu, that will allow you to download a copy of the YouTube video address you paste in different formats for both video and audio, but it also steps forward allowing you to customize the bitrate for the video and the audio, which is something not every video downloader has to offer. Pros: Paste the video web address, select the format you want it downloaded in, customize your download and you will be goo to go. Cons: Usually with customization and settings options come bits of trouble, if you are not interested on getting your hands dirty even with these small features, there are even more simple downloaders that do just that download. Talking about Youtube download website that just download, on Save-Video.com all you need to do is pasting the web address, select the format and click Download. Aside from YouTube, most major online video sites are supported for you to download their content. Pros: This is a plain and simple video downloader that will allow you to change the video format along the process. Cons: Audio extraction might be missed, but as you can see, there are several other sites that specialize just in that, so it is a small price to pay for a quick and fast service. There are multiple ways to choose how you want to download your YouTube videos, and Savefrom.net can make it easier for you. You can either just access their website and use as any of the other options we have reviewed so far, or you can simply do a little trick as you browse through YouTube. If you are watching the video on your browser, all you need to do is adding "ss" before youtube.com in the address so it should look like "http://www.ssyoutube.com/watchXXXXXX". After that all you need to do is hitting Enter and the service will automatically extract the video for you. Quite easy, isn't it? Pros: All you need to remember from now on is adding "ss" before the "youtube.com" address and it will be ready for download. Audio extraction is also supported along with conversion to other video formats. Cons: Again, simplicity takes its toll and removes any possibility to customize the file download, but to keep it fair, there are several options and formats to choose from that will likely work for the situation. In a very similar fashion, you can add "KISS" before "youtube.com" on the web address of any of their videos with this service. 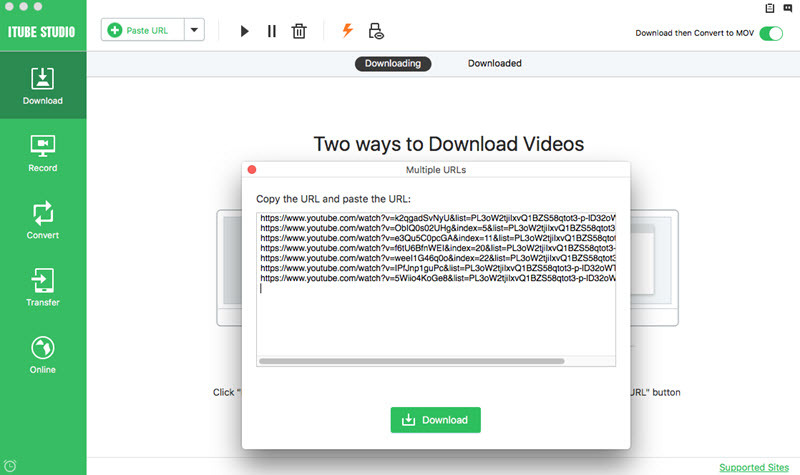 So by accessing an address like "http://www.KISSyoutube.com/watchXXXXXX", you will be able to download a copy of the video. The main difference here, is that this service makes use of aJava applet, do not worry, this only means it installs a small application to your browser to let you download the video, which may result in a faster process and even more option for you to have. Pros: Using an applet instead of waiting for the file to be processed in a remote server can result in faster times for conversion/download. Cons: Having to install any kind of software on your device makes it only available if you are using a computer and will also take you some more minutes, even if the installation process happens just once. VideoGrabber.net is a service that also does the applet trick. You paste the YouTube video address on the field, click on Grab it and the little applet will make the request to be installed. Once you have done so, it is the same old business. This site also allows you to convert between formats for local files. Pros: Once you have installed what is necessary, like other services, this one will be much easier for you to use. Cons: Even by using the applet, that are solutions that work 100% online and that allow you to have fairly more options than this one. Looking a little sharper than its siblings, AceDownloader is a service that works with a Java applet for your browser as well, and while the process may not be significantly easier or faster, the simple look of its site is much appreciated. Pros: This is basically a simple website that will let you download YouTube videos in three easy steps. Cons: Again, you have to download the small software to be able to use it, but it does not seems that much of a sacrifice, except if you are using a phone or a tablet. If all you want to do is having a way to download your videos always at handy while you browse YouTube, you are going to like the next two services. KeepVid is the first of them, and all you have to do with it is to save the bookmarklet in your favorite addresses. After that, you can easily save any video from YouTube as you watch it just by clicking on its button. Pros: This is about the easiest and more accessible methods you can have, and even though it may ask you to install an applet again, you can turn this option off and just use it 100% online. Cons: You cannot choose a format to save your video, not customize it, not extract the audio, nothing. Just download the video right as it shows on YouTube. So far we have reviewed sites that optionally allow you to download small application to make the video download itself goes smoother, but in the middle ground between a web service and software download, there is a whole different category, and it is the browser extensions. Similarly to the applets, this are just pieces of software that go attached to your browser and are only executed when you needed. The difference it that by working specifically for the browser, they can run faster. 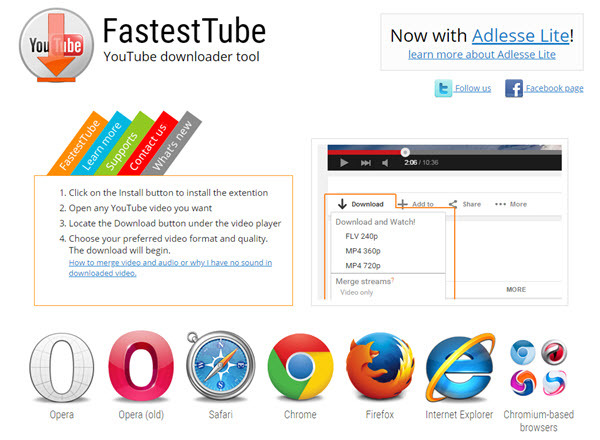 FastestTube is one of these extensions that are available for Opera, Chrome, Firefox, Safari and Internet Explorer. All you need to do is download the one for your browser and that is all. The next time that you are browsing through YouTube videos, you will see a download button that will get the video for you. There are other different extensions and some of them add interesting options, but this is the one you may want to try to keep it all simple. Pros: After installing the extension, downloading any videos from the internet is as simple as pressing a button. Cons: While other extensions may have different and more options, this one will only let you download the video you are watching in the different formats available at YouTube. 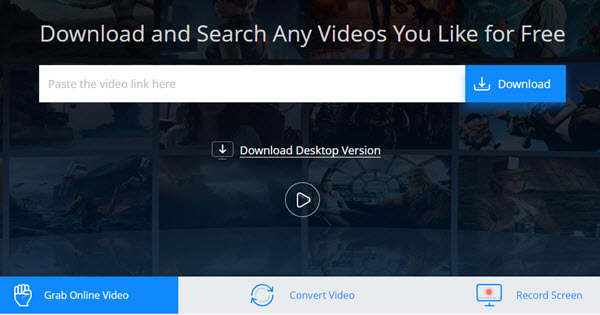 DownVids can be used to download videos from Facebook, Youtube and many other sharing websites. Copy and paste the URL to the video into the text box and click the download button. You can also select to download only the MP3 music if you want to put it onto an MP3 player. Click the download button and the file will be downloaded straight to your computer. Simply paste the address to the video you want to download into the text box on the OnlineYouTube site and hit the download button. It will then analyze the content and tell you information about it. Click the link to the content that you want to download and it will be saved onto your computer like a regular download through your browser. 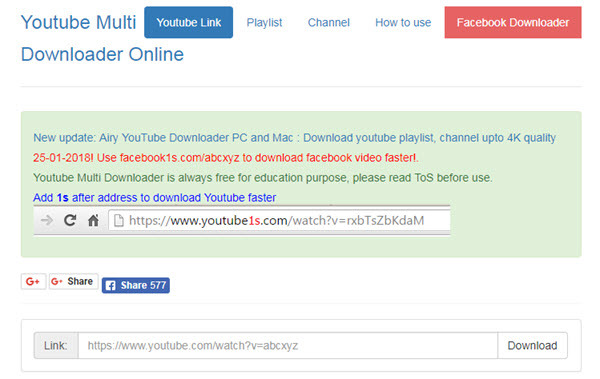 YouTube Multi Downloader makes it possible to download individual videos from youtube or other video sharing websites. It's also possible to download entire playlists or channels by pasting in these links into the text box. 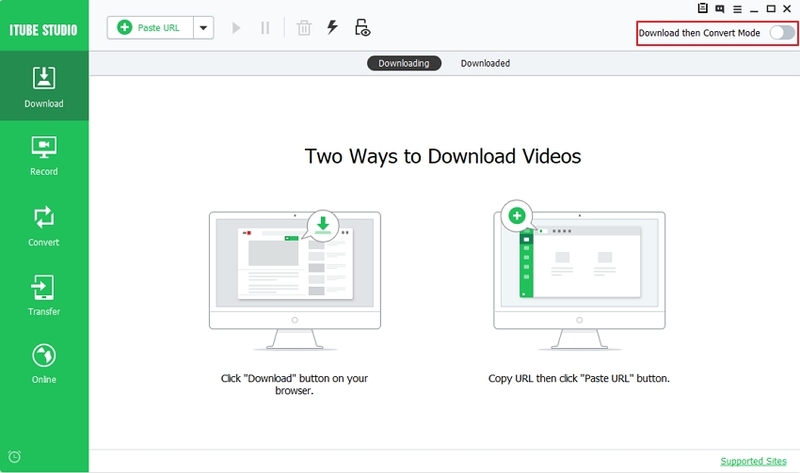 This makes it very quick and easy to download a lot of videos in one go. 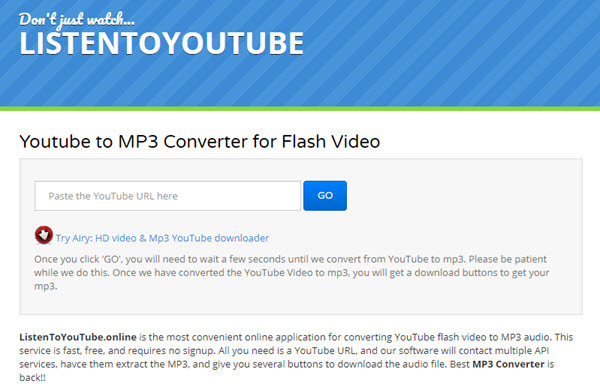 ListentoYoutube makes it very easy to download a YouTube video and convert it into an MP3 file in seconds. Simply paste the address of the video you want to download into the box on the page and clicking the button. An MP3 file will then be downloaded into your browser which can be copied easily to an MP3 player or iPod. This is a great way to get free original music. 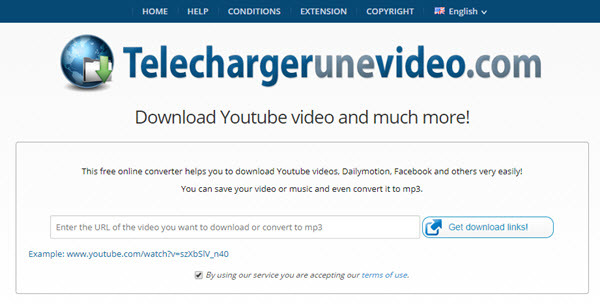 Telechargerunevideo offers free video downloading services which work for all the major video sharing websites including YouTube, Vimeo and DailyMotion. Start by finding the video you would like to download to your computer on the video sharing website. Then click up the top and copy the entire website address to the video. Paste this into the text box on the telechargerunevideo website and click the button. This will retrieve the video and display a thumbnail image, along with the name of the video. Check that you are downloading the right video. Then you can choose the quality and format you want to download and the video will then be downloaded onto your computer. First of all, download and install iTube Studio YouTube Downloader to your computer, and then run the YouTube downloader to its main interface. Navigate to any sites for YouTube free download, play the video and you will see a Download button appeared right by side of the player window, click the Download button to iniciate the downloading process. Then leave the rest for iTube YouTube video downloader. If you haven't found the Download button in your browser page for unknown reason, don't worry, click here to get a full guide on how to install a Download button to your browser Chrome, Safari or Firefox. You can also copy the URL of any online video from the address bar and then return to iTube clicking the Paste URL option in the main interface, this video downloader for YouTube will paste the URL atutomatically in the blank bar and you just need to click OK to wait for few seconds! 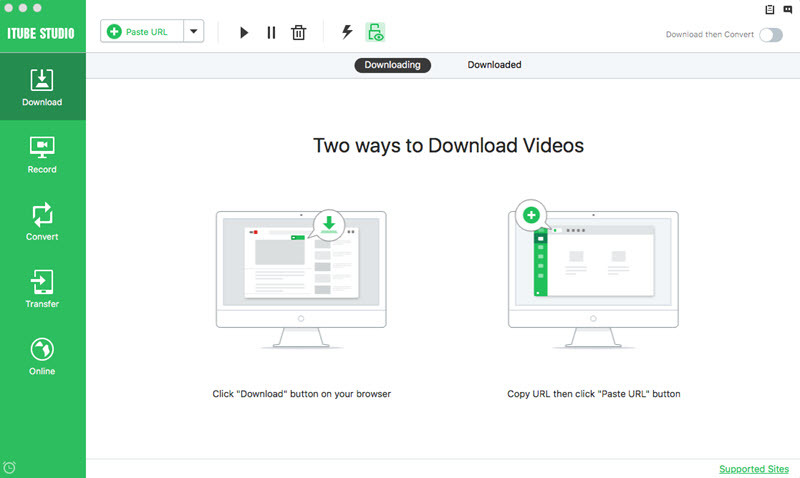 iTube Studio allows to download multiple videos at the same time, you can insert as much as 1,000 URL links to download all the videos you want! If you want to get more infomation about websites to download free music from YouTube, click here to see details.